Thesmartsearch.net looks like a useful search engine at first sight; however, some sources claim that it should not be trusted. If you are one of those users who have noticed this search engine in the place of their homepage and search provider, we highly recommend that you get rid of it for the sake of your computer’s safety. You should also know that the removal of Thesmartsearch.net is unavoidable if you want to change your homepage or search provider. It is not the easiest process, so we are here to help you. 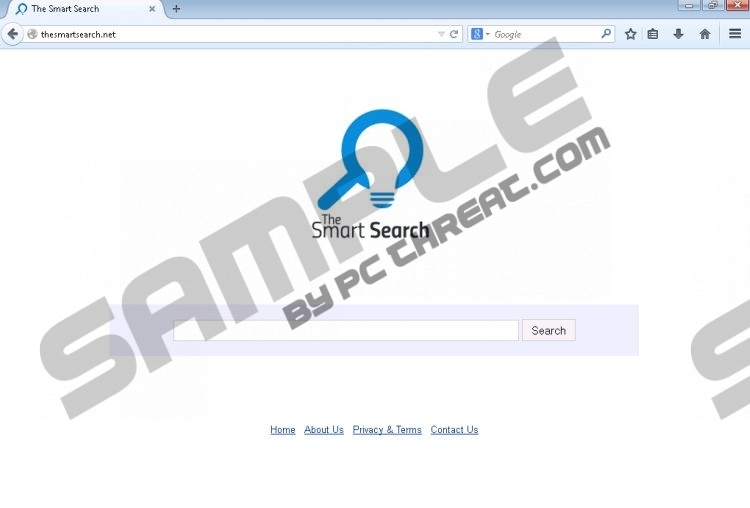 Scroll down in order to find the instructions that will help you to get rid of Thesmartsearch.net search engine. According to the specialists at pcthreat.com, Thesmartsearch.net uses DuckDuckGo search engine. It is not harmful itself; however, it is not the reason to continue using Thesmartsearch.net. If you wonder why we do not like the aforementioned search engine, you should know that the main reason why it is so is the fact that it can make the changes without your permission. In addition, there is a slight possibility that you will be provided with third-party links. There is a possibility that they will take you to unreliable places, so our specialists recommend that you get rid of Thesmartsearch.net as soon as possible. Our security experts have found that Thesmartsearch.net might replace your homepage and search provider if you use Internet Explorer, Google Chrome, and Mozilla Firefox browsers. The easiest way to get rid of this search engine is to restart your browsers. If you do not know how to do that, you can use our manual removal instructions or scan the system with a reliable antimalware tool. If you want to know our opinion, we believe that SpyHunter is one of the best tools that will remove Thesmartsearch.net. Check a box next to Delete personal settings. Select Troubleshooting Information from the menu. Navigate to the top-right corner and select Reset Firefox. Click the Reset Firefox button again. Locate Reset settings section and click Reset settings. Click the Reset button in the dialog box. Quick & tested solution for Thesmartsearch.net removal.